The spring Lisa's sale is well underway and I finally go their. 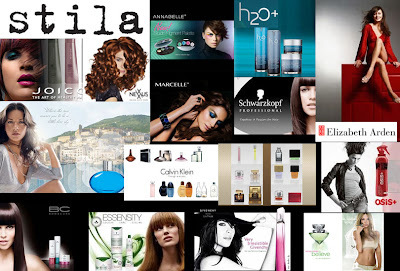 Their flyer and site boast new items from H2o+, Stila, Joico, as well as their usual brands, Annabelle, Marcelle, and all the perfumes they are known for. Now last time I didn't get much, but this time I went nuts. All the new items were calling to me. I picked up for a pal Thierry Mugler's Womanity. I got a great set that has a 100ml wash and lotion as well as a 80 ml au de parfume. Let me tell you something, cheaper then just the perfume...crazy talk. I also got some amazing Stila finds. Lip gloss trio set for $7.99, Lip pencil for $7.99 and a brush set for $13.99. I also go some small Hawiian Tropic lotions for $1.00 each, Joico mini hair spray for $1.99, Sally Hansen cuticle pusher set for $2.99, Sally Hansen Foot file for $1.99, as well as a generic brush set for $7.99. My mom grabbed me a wine stopper for $2.50. I also got for gifts some UK Dairy Milk bars for $4.99 each. Finally I got myself an spf 45 spray on Neutrogena sunscreen. Overall I think I did very well, I am in love with the Stila!!! I feel I could have gotten more of their items but held back. If you need a new perfume I highly suggest checking out their rock bottom prices.